Thanks for visiting our Reverb shop! 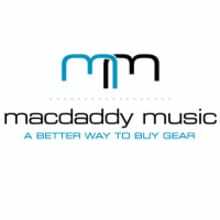 Macdaddy Music has been in business for over a decade. We specialize in guitar & bass gear, offering a wide selection, quick (almost always free) shipping in the USA (and on select products worldwide! ), and top notch service whether you're just buying a set of strings or an expensive tube amp. Feel free to call or email if you have questions on anything.